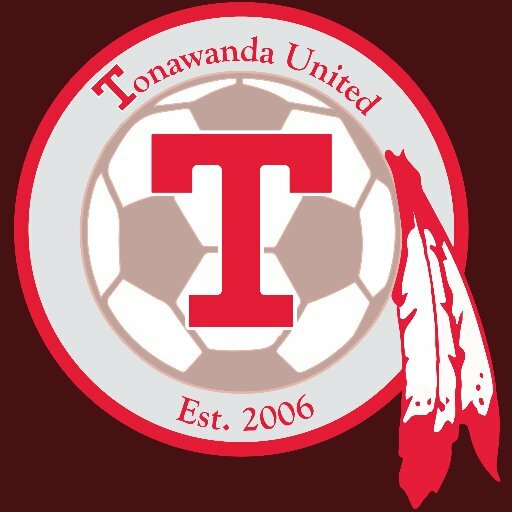 BDSL: Today we're talking with Erich Neuhaus of Tonawanda United. Thanks for taking the time. What's your role within TU and could you give us a little history on the clubs origins? TU: Thanks Michael I'm glad you reached out. My current role is keeper and GM. I started to become more involved with molding the roster since about 2014. The league was beginning to get better and in turn we were going to need more talented, younger players to keep up -- even in D2. I took some initiative to fill the holes with solid, younger, Tonawanda talent that currently make up a big core of our summer squad. 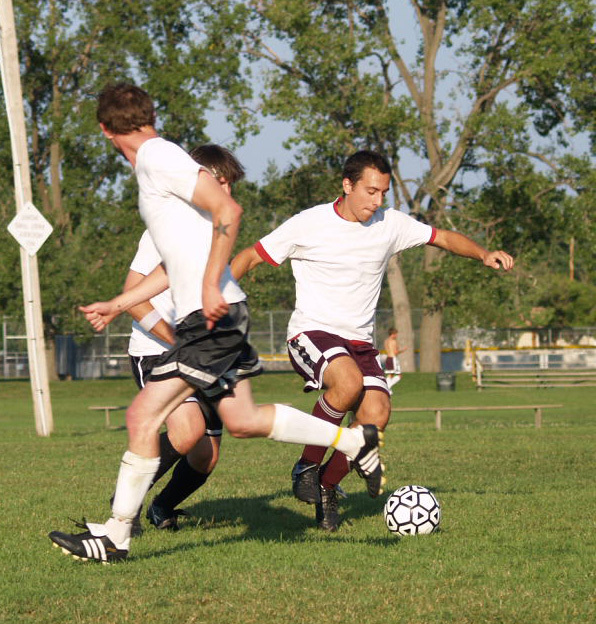 Our history dates back to Fall 2006 when TJ Nicholas, after playing on the Woodland Wanderers with red-headed enigma Don Felice, had enough interest from a lot of Tonawanda friends and former varsity players to form a new team. With TJ and Chris Maugans leading the way, we're still here today. Crazy to think now, but there are four players who still play with us from that Fall 2006 roster: TJ, Maugans, Ryan Rodenhaus, and Andy Haskill. BDSL: I've noticed that Tonawanda has had a fair amount of a family element to it past and present. Would you agree with that? How has that help (or hindered) the team? When the roster started to change was that welcomed or maybe met with resistance at first? TU: I guess I never really thought of it like that! I think it was less by design, but more because they were good, Tonawanda players. The Haskill's are solid, reliable players who like to play. Andy and Nick are brothers and have been playing with us forever. Their brother Michael and dad Kevin played with us for a long time, and Kevin's nephew, Brian, a longtime centerback for us, were all rostered for us at one point since 2006. But since all of them went to Tonawanda, the "non-family" guys were all familiar with them. Family members, as long as they're good, make for easy recruits. It was easy for me to pull my brother-in-law Chris on the squad. AJ Holler is joining his brother Nate, who’s been a big help in recruitment and finding players as well. It also works out where it's a chance to play competitively with a brother or cousin after missing out on playing with them growing up or in high school because of an age difference, and that's pretty cool. BDSL: As your side has been in the league for over 10 years, what are some of the biggest changes you've seen in the league between then and now? You side has hovered around D1 and D2. Has the growth watered things down or has the skill level increased? TU: There's no doubt the skill level has increased. Players are younger and better and it's great to see. They're sprinkled all over the league, even on our team. It's no longer a league where you can just show up with 11 friends and think you can win, and I think some newer squads find that out very quickly. I wouldn't say growth has watered down the league per se. Pro-rel will continue to keep things competitive in all divisions. But in D1 and D2, with 18-20 teams in those divisions and little separation in between, it's easy to get "stuck." We've gone 31-12-12 since 2013 with playoff berths in four of those five years in D1/D2, so we've been really competitive, but so have others. We've enjoyed winning seasons over the past few years so there's no complaints. Growth, league visibility, and younger, talented players have made a massive impact over the last 10 years and teams have had to adjust. BDSL: Tell me about how you guys maybe prepare now for the BDSL season vs in years past? Is there more of an effort made to bring in new players and try them out before the year? Have you guys been more conscious of preparing in indoor leagues. Or have you found that it’s hard to match what you get when it comes to the BDSL summer season? TU: There's really no preparation for the team besides trying to stay loose and play at Sportsplex throughout the winter, and that's really for the older guys. We're not worried about Phil, Nate, Steve, Jesse, Jake, Neil and some of the other younger guys showing up after a year off. They'll pick up where they left off. We're definitely more conscious about who we add than other teams. If we're thinking about adding a guy or two we'd prefer they run with us at Sportsplex just to see how they fit and what their talent-level is. There's also a trust factor involved. Does the guy pay? Does he show up? We added a player last year who didn't run with us at Sportsplex and he never paid, and wasn't reliable. So we try not to add guys blindly. We have a few new guys running with us this winter that we're going to add this summer. BDSL: Would you rather win the Tehel Cup or earn promotion? TU: Tehel Cup without a doubt. I love the NCAA Tournament and FA Cup, and any time the Butler's or Wigan's make a run it's captivating. A run in the Tehel Cup will make a lousy season great. We were 60 minutes from promotion last year and I anticipate us being in the mix like we've been in the past. 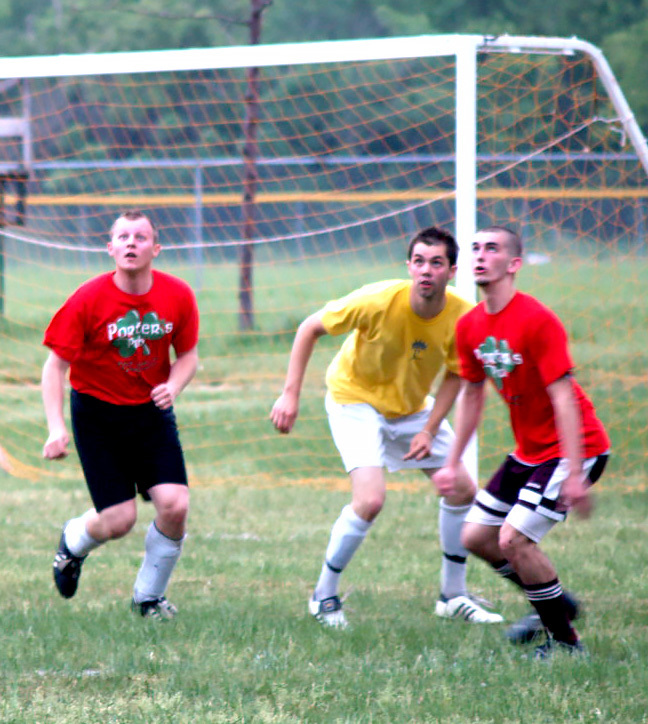 BDSL: Most would say, I think, that Tonawanda United like play a physical brand of soccer. Would you say that is true? Any other roster moves, new players, or styles you'd like to share about your side? TU: Yes I think we've always been a little more physical than most teams. We're older, stronger, only have a few teenagers on the team, so we're not afraid to bump shoulders and knock guys off the ball. I think back five years or so ago it was more of necessity because we weren't as talented, so winning 50-50 balls, making strong tackles, getting underneath people's skin was important to winning. Today, we're more skilled on the ball today than we were five years ago, so our style offensively has changed from a long ball, drive it up to Andy and Rodey, to more possession, where Steve, Phil, and Jake can hold the ball, distribute it, or beat guys 1-on-1. Ideally, I'd like to give up some of that possession and sit back to be a counter-attacking team with some of our speed and skill. Catch teams on the break. Not a lot of roster turnovers once again, but we're adding three teenagers so a youth movement continues as some the older guys ride off into the sunset. We almost have a waiting list at this point, so we're in a good spot with a competitive roster. It'd be nice to see the team keep moving along once the stalwarts had enough. BDSL: Does Tonawanda have an archrival in the BDSL? Or maybe a team you guys look forward to playing? Aside from your own club is there one out there that you are a fan of? Why might they be? TU: The last four or five years or so we've played Crimson and the Meerkats probably 10+ times between BDSL and Sportsplex, so right now they're rivals of ours just based on the amount of times we play them, but it’s not a heated rivalry. Any team that tries to incorporate their city or geographical area into their team and win we're a fan of. We try to take players from Tonawanda or Tonawanda backgrounds if possible. Pendleton has a lot of Starpoint/Pendleton/Wheatfield guys, East Aurora made a ton of noise in this league with mostly guys from EA, and I'm sure there are a lot more. But if you can stick to that criteria and are successful like some of those teams, the bragging rights are even better and you're winning with guys you're pretty familiar with. BDSL: I really like your idea of a team built within a certain community. It certainly seems to be a trend with the new teams that’s serving them well. Anything you'd like to see the league add to the league? Ideas to improve things? Something different for us to consider doing? Or any ideas we had recently we should expand on? TU: Hard to suggest things since we don't go to meetings very often, but just keep up the good work with all the content you guys put out on the site and Twitter. I think people enjoy the Player of the Week and the other nuggets that are out there. It's a thankless job for those who write all that stuff up and to maintain the site, but I'm sure it’s appreciated by many.